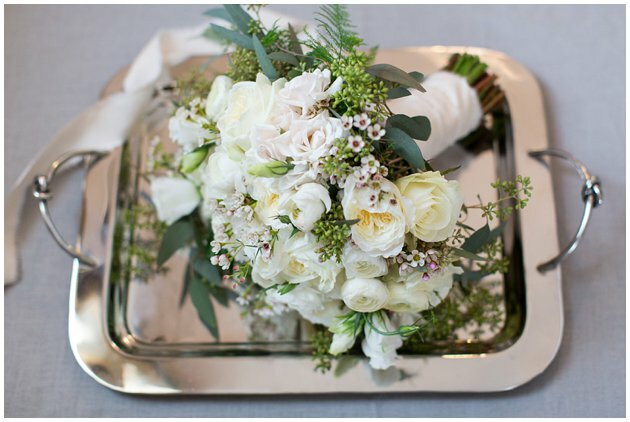 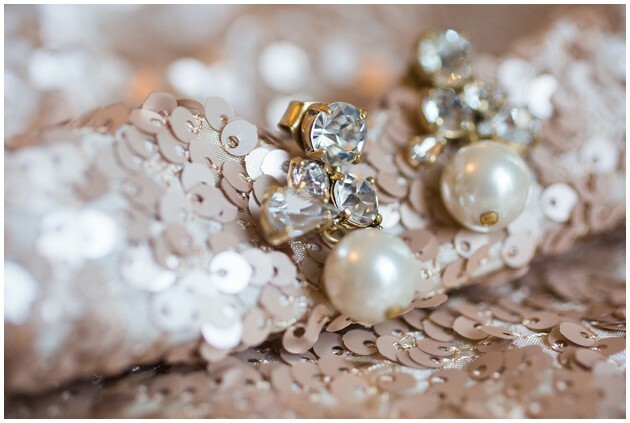 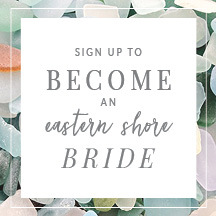 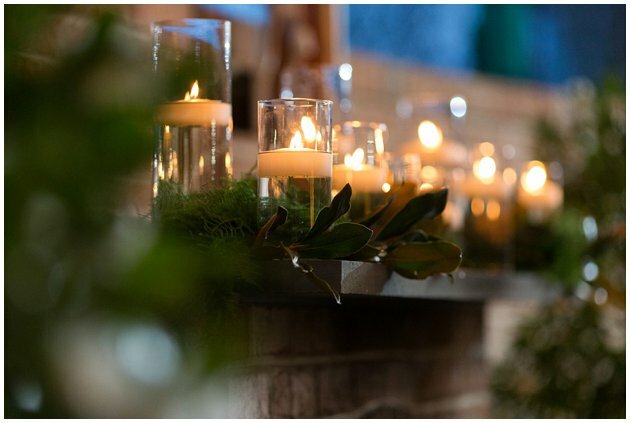 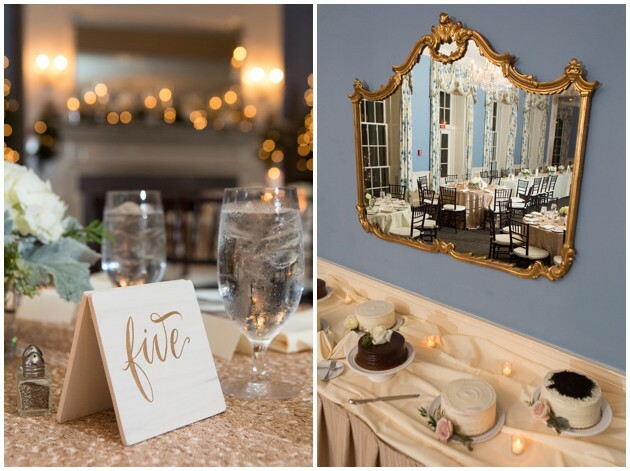 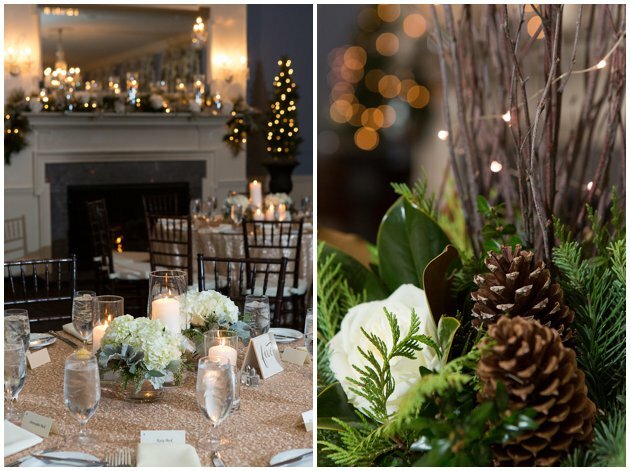 Every girl loves a little sparkle, and there’s just something about this romantic winter wedding at The Tidewater Inn that we just can’t get enough of ! 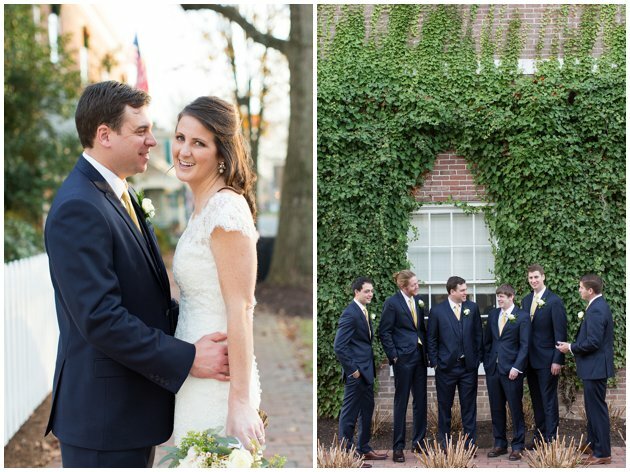 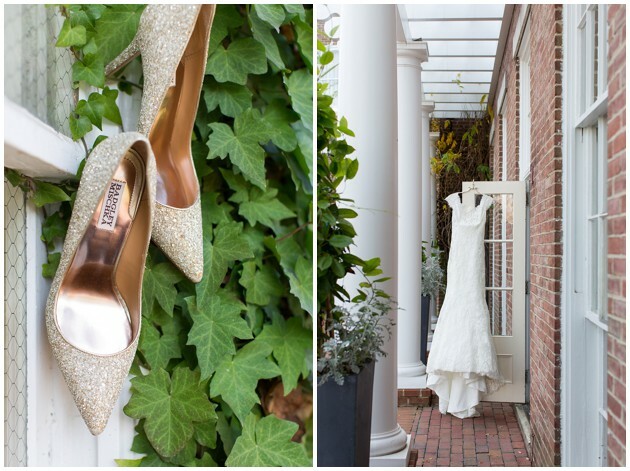 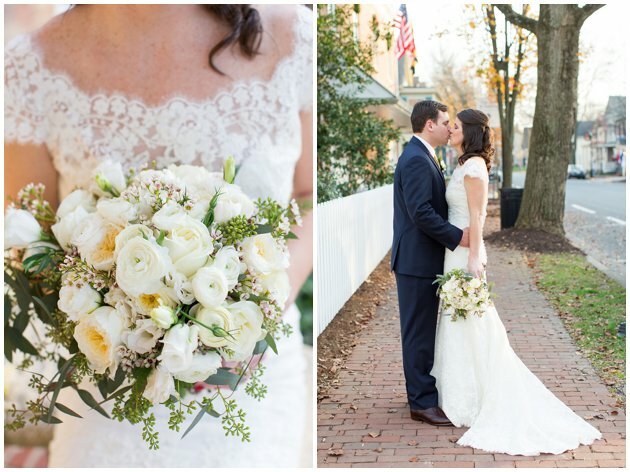 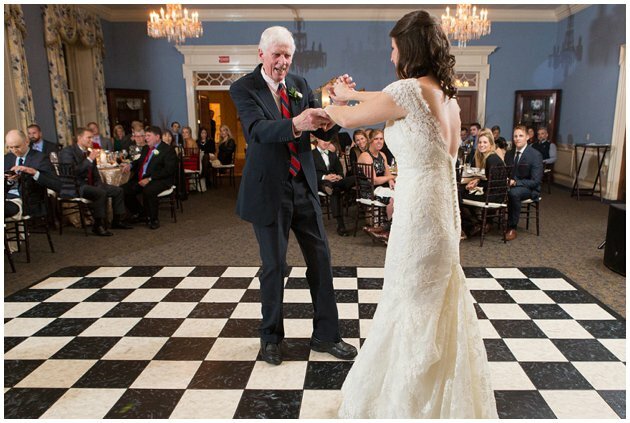 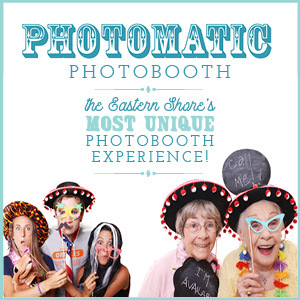 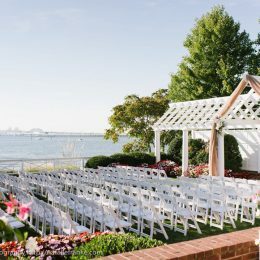 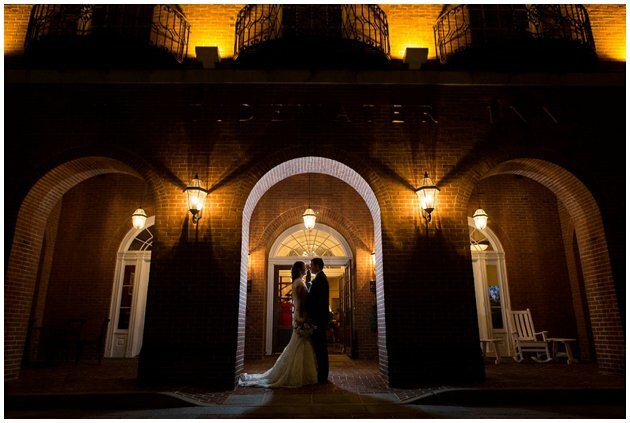 From the shoes to the dresses, their fun and festive style complimented the classic backdrop that is the historic Tidewater Inn! 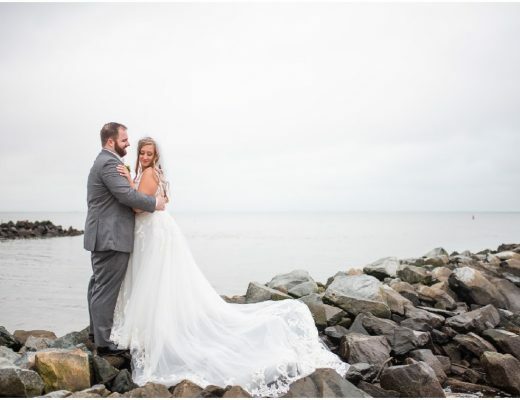 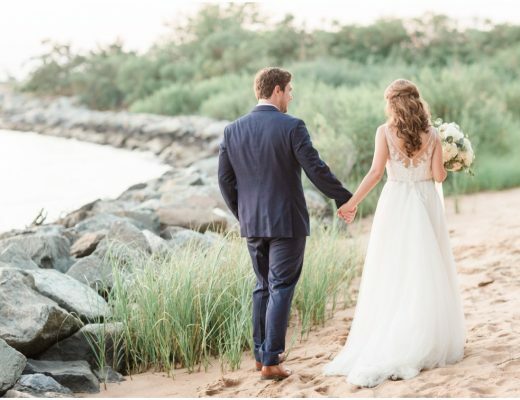 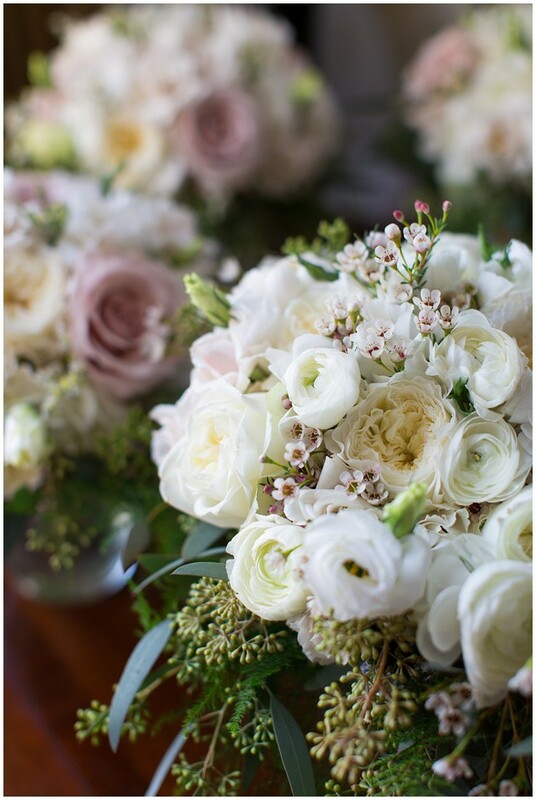 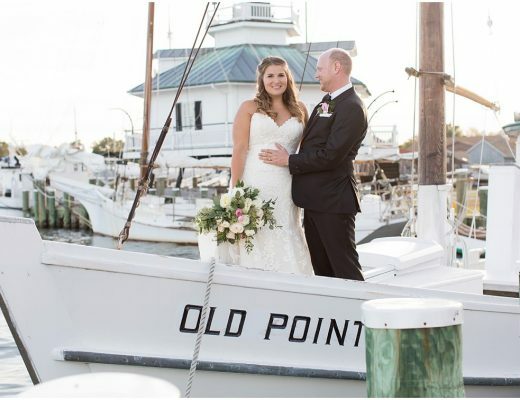 From Laura’s Focus Photography: Betsy and Kevin tied the knot at The Tidewater Inn, and their day couldn’t have turned out more beautiful. 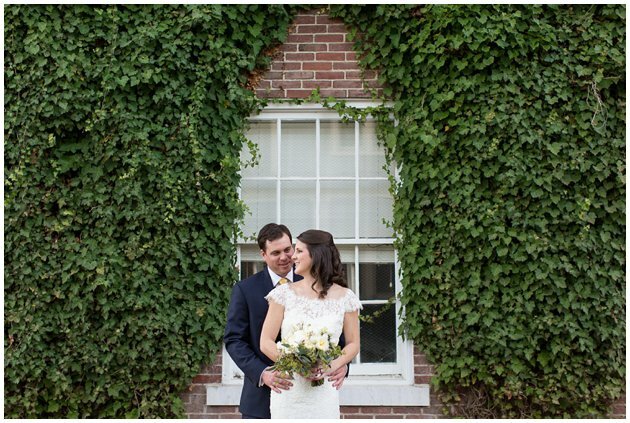 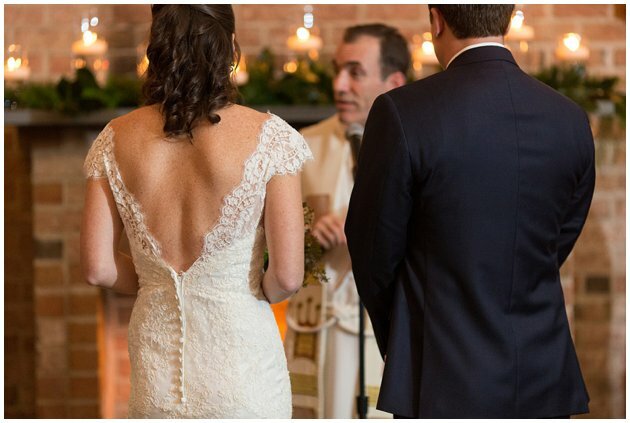 The couple met while attending St. Mary’s College, and it just so happened that were both economics majors and into athletics. 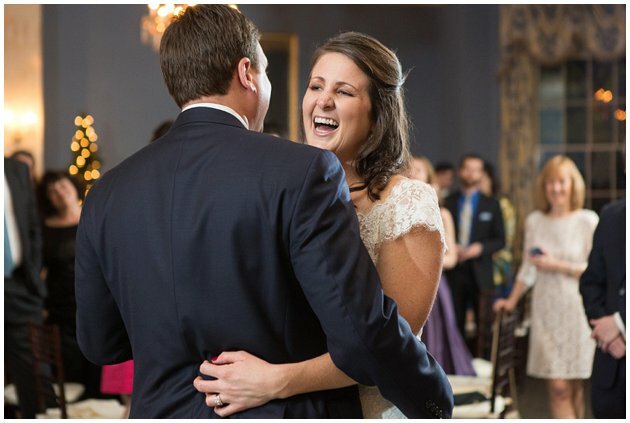 Fast forward a bit, and now these two have been together for 9 years! 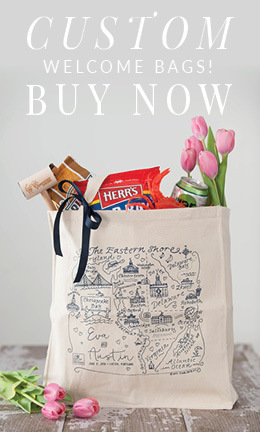 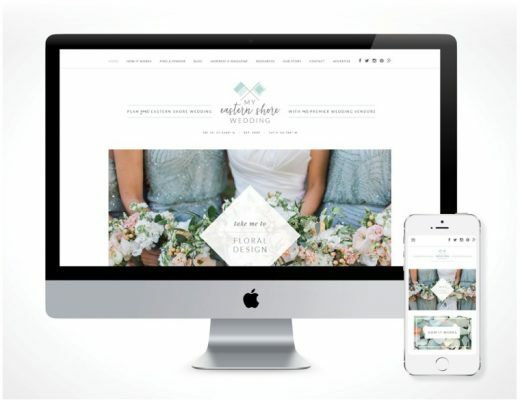 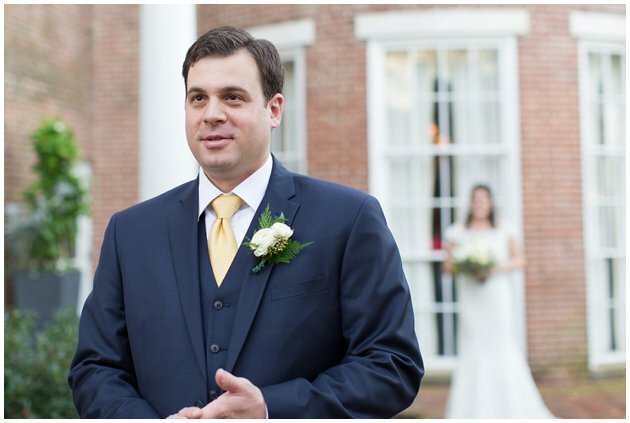 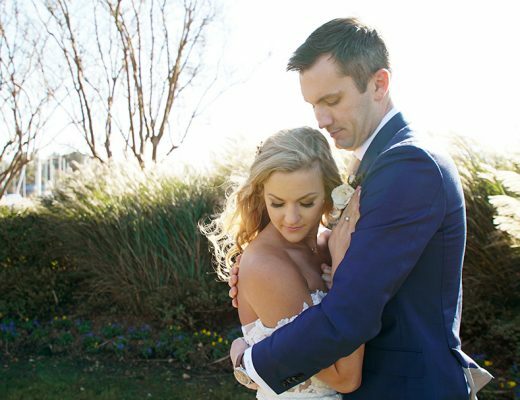 Kevin popped the question during a walk in downtown Georgetown and began planning for a wedding in Easton, Maryland, the town where Betsy grew up. 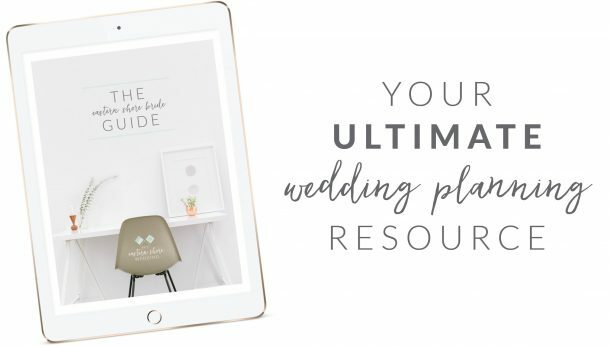 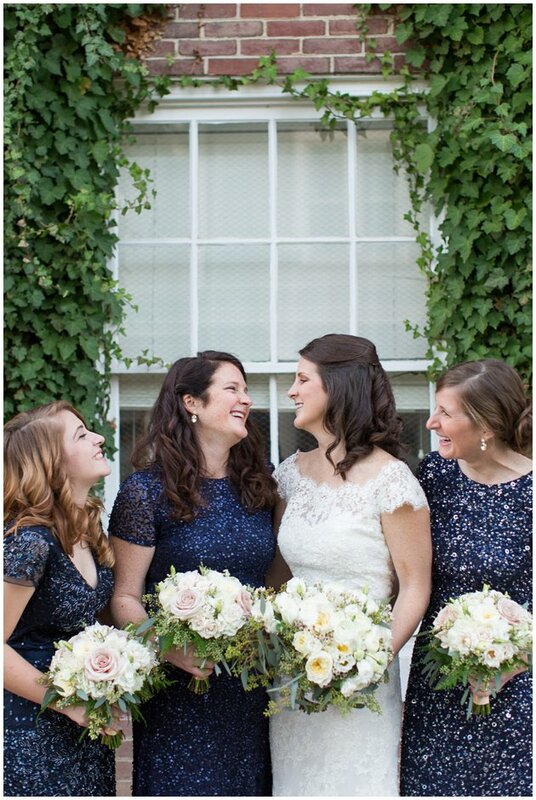 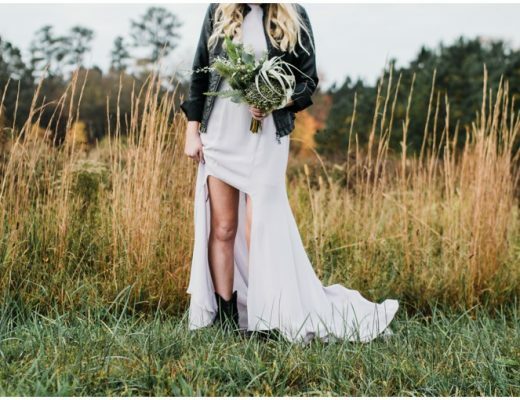 Betsy wanted lots of sequins and sparkle which can be seen in the beautiful gold tablecloths, the navy bridesmaid dresses, and her Badgley Mischka gold high heels. 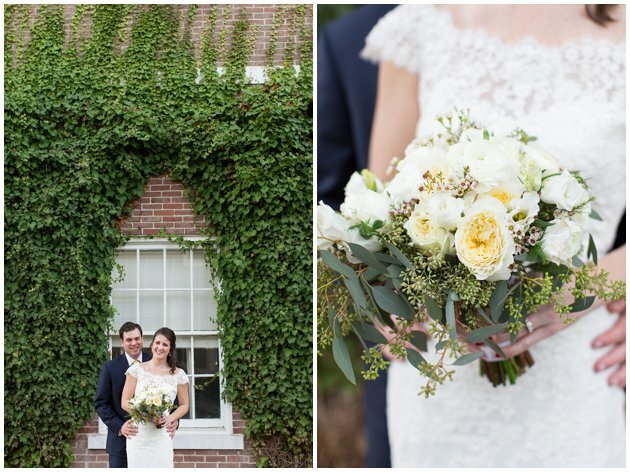 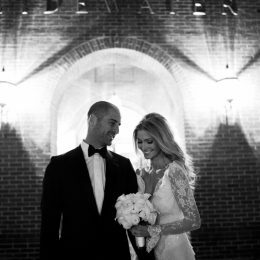 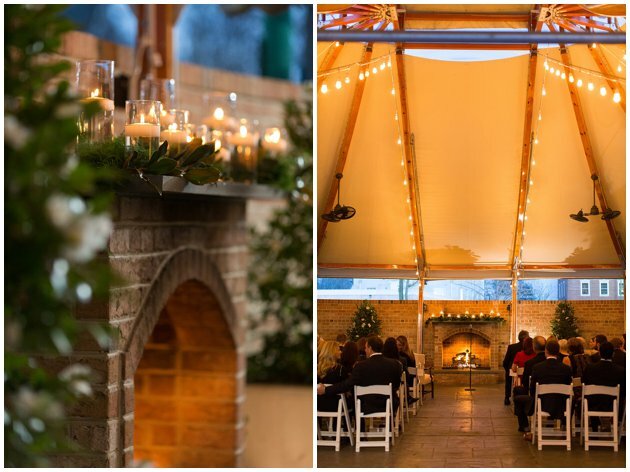 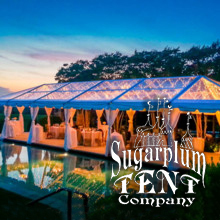 The day started out with a first look and a walk through town, followed by a romantic candlelit ceremony in the Gold Ballroom Garden. 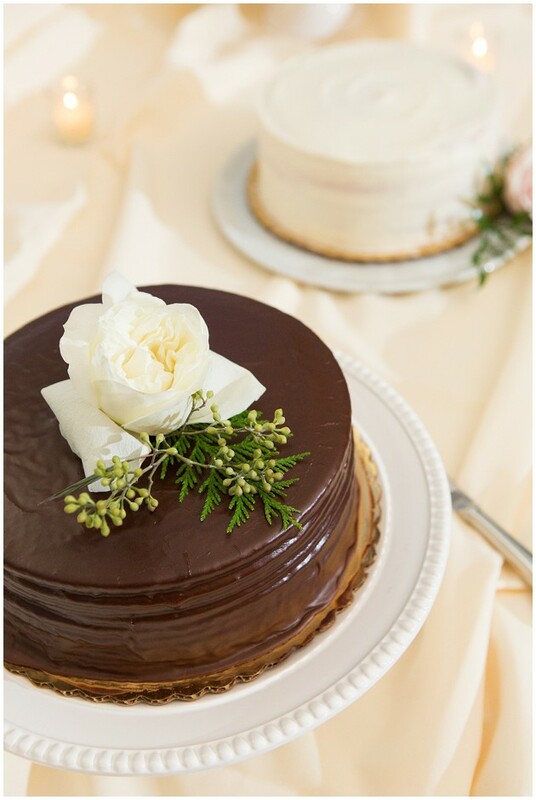 The reception was full of laughter, sparkle and several delicious Smith Island Cakes! 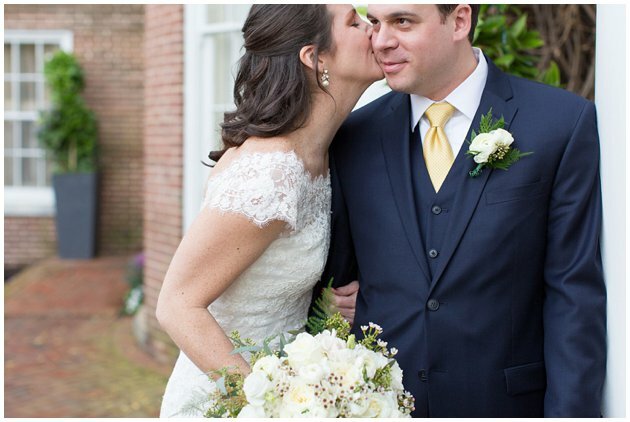 Congratulations Betsy and Kevin!